Scores 33 Highway MPG and 24 City MPG! This Alfa Romeo Giulia delivers a Intercooled Turbo Premium Unleaded I-4 2.0 L/122 engine powering this Automatic transmission. WHEELS: 19" X 8.0" FR & 19" X 9.0" RR Y-SPOKE ALUM -inc: Tires: P225/40R19 Fr & P255/35R19 Rr Summer Perf, TIRES: P225/40R19 FR & P255/35R19 RR SUMMER PERF, TI PERFORMANCE PACKAGE -inc: Active Suspension, Aluminum Steering Column Mounted Paddle Shifters, Limited Slip Differential Rear Axle. QUICK ORDER PACKAGE 22T, DRIVER ASSISTANCE STATIC PACKAGE -inc: Blind Spot & Cross Path Detection, Auto Dim Exterior Mirrors , RADIO: AM/FM/HD BLUETOOTH W/NAV 8.8 -inc: GPS Navigation, HD Radio, MANUFACTURER'S STATEMENT OF ORIGIN, HIGH PERFORMANCE BI-XENON HEADLAMPS, HARMAN/KARDON PREMIUM AUDIO, FULL SPEED FWD COLLISION WARN PLUS, DUAL-PANE SUNROOF -inc: Gloss Black Shark Fin Antenna, COLORED BRAKE CALIPERS, CALIPERS GLOSS RED W/WHITE SCRIPT. 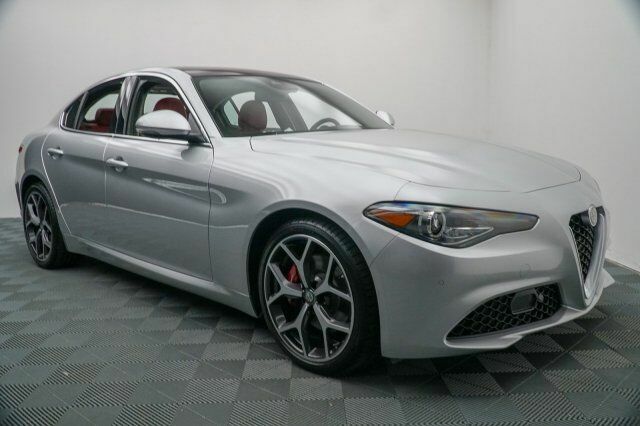 A short visit to Foreign Cars Italia Charlotte located at 416 Tyvola Rd, Charlotte, NC 28217 can get you a trustworthy Giulia today!